We are a busy bunch at Envy Creative, balancing current brand and web projects with our growing roster of clients. So what we are trying to say is that this might not be completely representative of our most recent work. 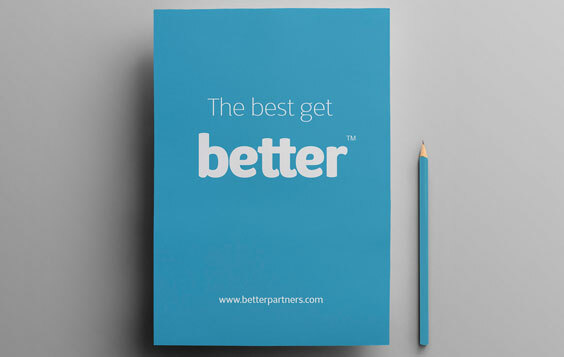 We’re trying our best – we are just really focused on delivering for our clients. Forgive us. 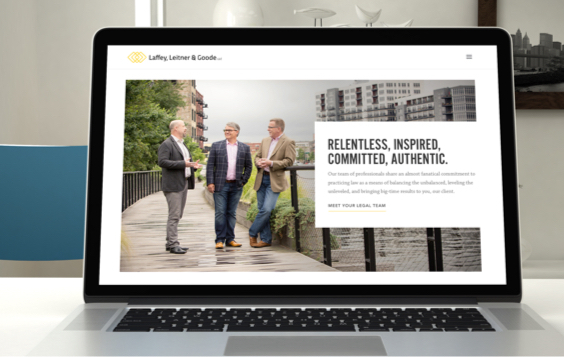 When Jack Laffey, Mark Leitner, and Joe Goode struck out on their own with their new firm, they needed everything – from a brand to a website to even new felt for their pool table. In one of Envy Creative’s most extensive brand projects, we provided LLG with a solid identity that represents the tough, innovative, and expert service the team extends to each of their clients. Torrey Nagle of Sevetta has provided his clients with rock-solid strategy for years, but in 2014 he looked at his company’s brand and realized that it no longer represented what his company had evolved into. 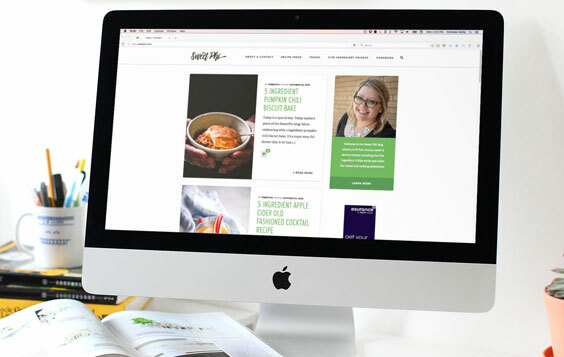 When Torrey and his team approached Envy Creative, it started as a conversation about a new web presence, but quickly the project grew in scope to include a top-down rebrand. Launching a new brand? We want to be part of your team. We love collaborating with upstart companies to help launch their new brand with clean design and user-first web development. If you are looking for a dedicated team of designers and web experts to help you kick off your new venture, reach out to Envy Creative today. We jump at the opportunity to get in on the ground floor of our clients’ success. Our roster of Professional Service clients continues to grow month-by-month and we put that extensive experience to work on every project that walks through our doors. Envy Creative understands the importance of brand, messaging, and appealing directly to target audiences. A long-time client of Envy Creative, Financial Service Group has always reached out to us when matters of development arise. 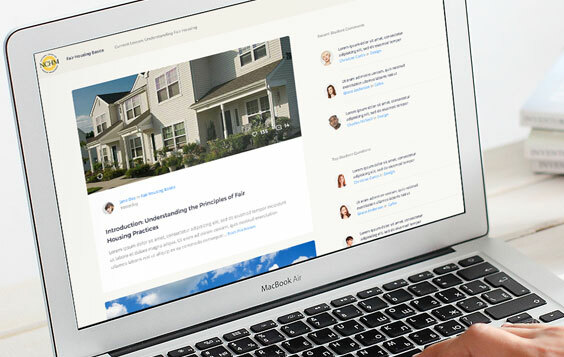 In 2015, President Michael Haubrich signed-off on a brand redesign that included a major update to their web presence. 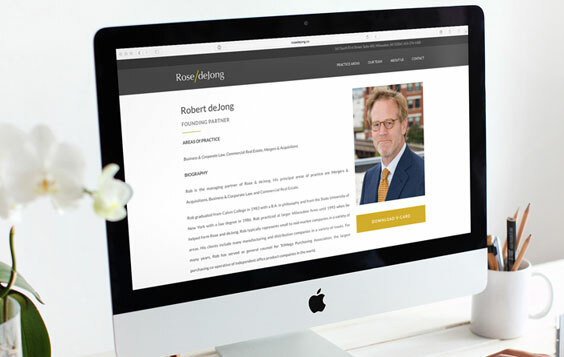 The new site needed to reflect the personality of the staff, but also had to be user-friendly. Envy Creative was well-prepared to accomplish this for FSG. TOTAL Mechanical, Wisconsin’s premier commercial and residential HVAC contractor, asked the team at Envy Creative to assist them in bring their latest addition, Tri-Cor Mechanical, online in a big way. 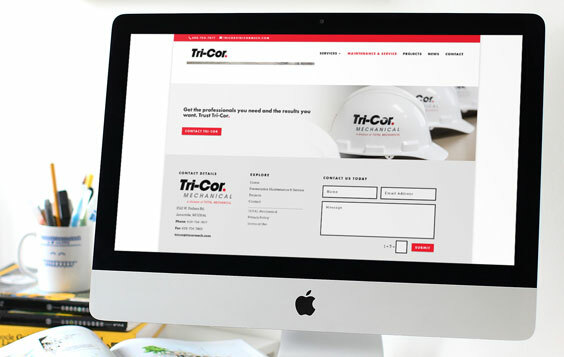 A visual-first design, Tri-Cor Mechanical sets a new aesthetic standard for the mechanical contractor industry, incorporating outstanding photography and a modern user experience. The Envy Creative team was on-hand every step of the way to ensure a superior final product – even directing a photoshoot on the roof of a one-million-square-foot distribution center in Janesville, Wisconsin. We’d say that’s going above and beyond for our clients. The National Center For Housing Management, started by Executive Order of the President in 1972, provides the public and private housing industries with top-flight education and certification testing. 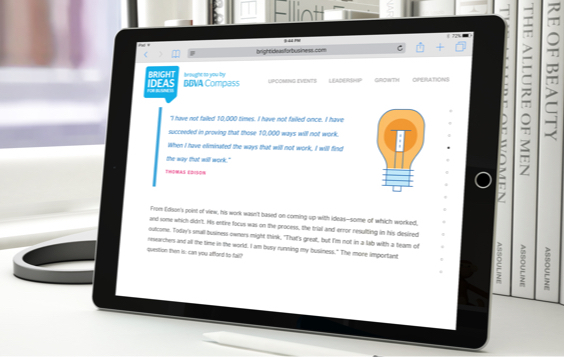 When it came time to redesign their site, NCHM reached out to Envy Creative for modern but intelligent site design. Collaborating with long-time NCHM technology partner, Euclid Technologies, the team at Envy Creative served up a finely-tuned portal for NCHM’s changing audience. 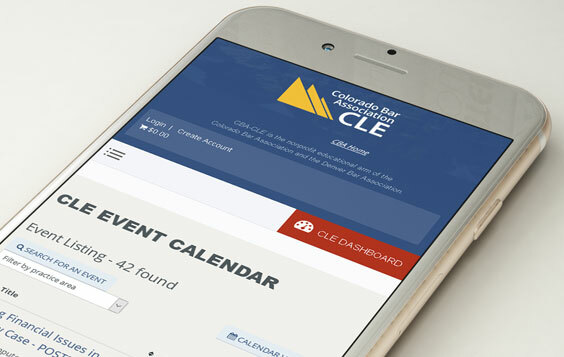 Another partnership between Euclid Technologies and Envy Creative, the Continuing Legal Education arm of the Colorado Bar Association was expanding and with that came a much needed move to a more robust membership management system. While Euclid was responsible for facilitating this move, Envy was tasked with making a fresh pass at CLE’s image. The result is an intuitive site that emphasizes the importance of clever UI design in modern web practices. 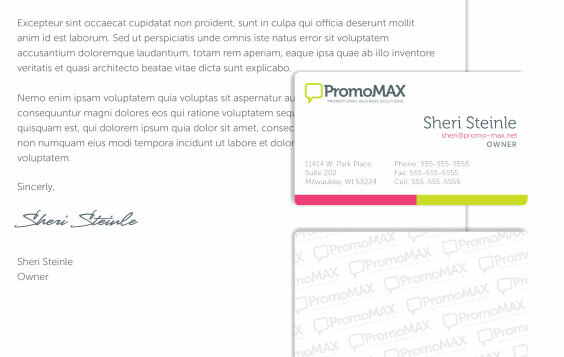 Your company’s website does not have to be boring to be serious. A lot of people think that a paint-by-numbers approach to a website or brand redesign is the only way to go for their organization. We get it – change is scary, and you don’t want to ostracize your existing customers with a radical image makeover. We try to find that sweet spot between art and business, where your clients feel safe in a familiar setting but there’s just enough edge to make you stand out. 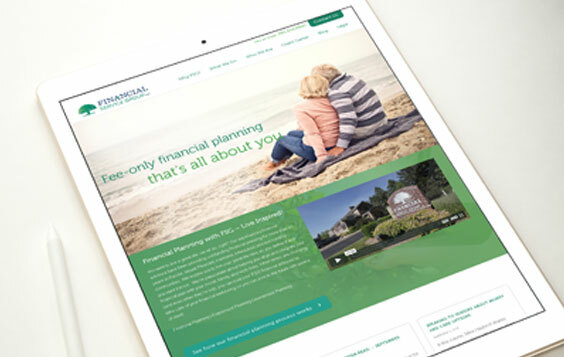 We have helped many real estate firms with property naming, branding, and web design. We know how important it is to get a new project leased-up quickly with the right tenants, and we have helped craft engaging online experiences that accomplish just that. Burke Properties has been a Wisconsin institution for decades – they have shaped how the city of Milwaukee looks and have been a major part in its growth to the bustling metropolis it is today. 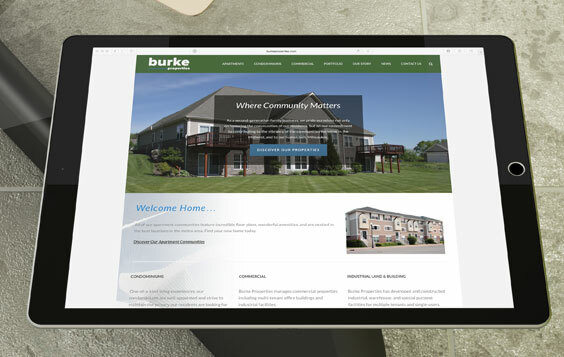 With that history in mind, when Envy Creative approached redesigning the Burke Properties website, we wanted to pay homage to the past through content and design. Dermond Property Investments and their partners drafted Envy Creative to help them name and style their new Eastside luxury apartments. Charlie’s affinity for a little known Italian sports car provided the spark for a beautiful wordmark. Envy’s work on the project extended far beyond just the wordmark – their contributions ranged from the web to signage to print materials. 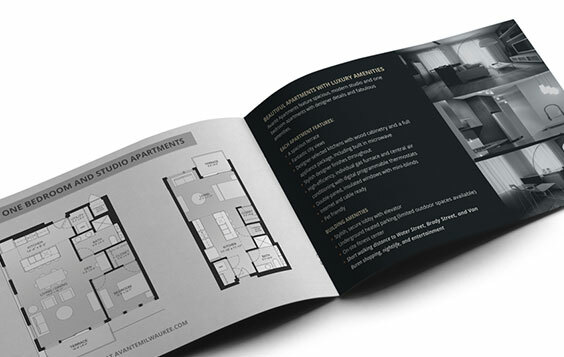 We specialize in branding and web development for Real Estate. 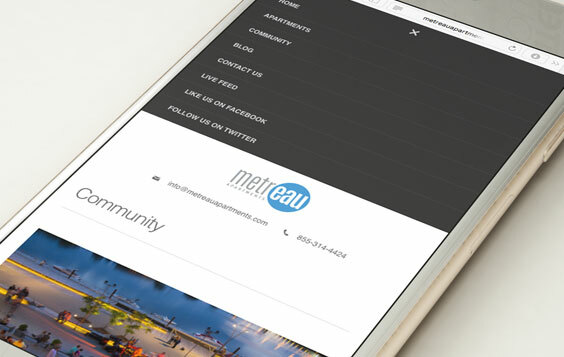 While we have experience in a number of verticals, we got our start in the Real Estate web design space. One of our first projects was a new apartment project on Milwaukee’s Eastside, and ever since we’ve been working in Real Estate properties, whether by branding new projects or building online web experiences. 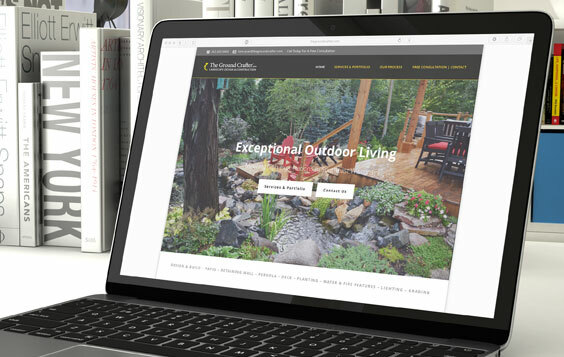 If you are looking to redesign your existing property’s website, or are about to break ground on a new development, reach out to see how Envy Creative can help. One of the most interesting spaces we do work is in the realm of Healthcare and Fitness. Whether it is B2B Healthcare solutions or personal training services, the niche audience of this field allows us to make smart, targetted designs that maximize conversion for our clients. 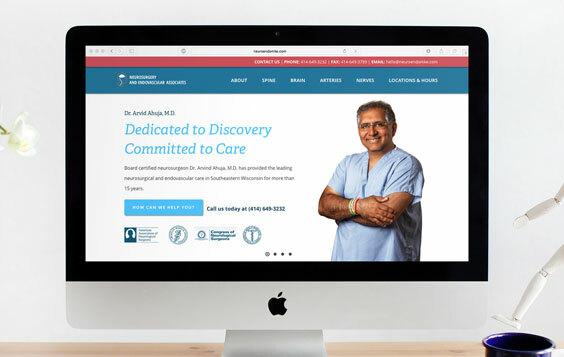 Dr. Arvind Ahuja and his staff at Neurosurgery & Endovascular Associates were looking for a brand-new web experience that looked great and acted as an educational resource for his patients. They tapped Envy Creative to lead the redesign, and while working closely with the SEO experts over at Rocket Clicks, crafted a beautiful site that was full of smart content. 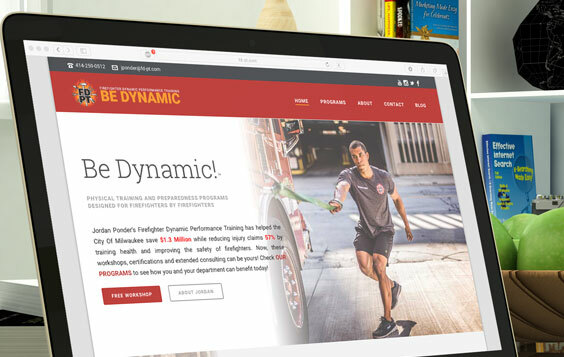 Given our experience in the fitness/wellness space, coupled with our background in editorial design, Firefighter Dynamic Performance Training was a natural fit for our skillset. Owner Jordan Ponder, an accomplished City of Milwaukee Firefighter, wanted to take the positive work he had done for the city to fire departments around the country. 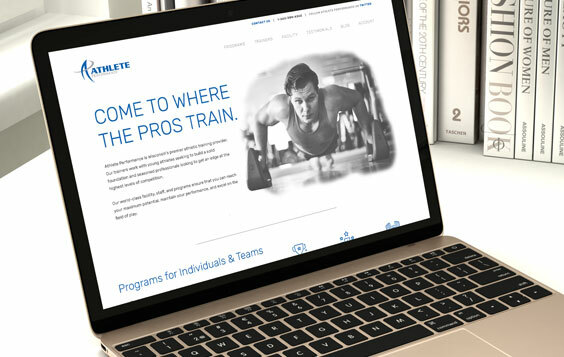 One of Envy Creative’s oldest clients, we’ve been a part of Athlete Performance’s ongoing site improvements for over five years. 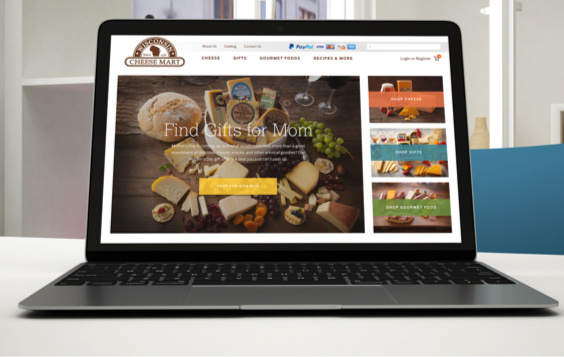 In late 2015, Steve Becker and his team were looking for a bold way of promoting their growing business on the web to their targeted demographics. 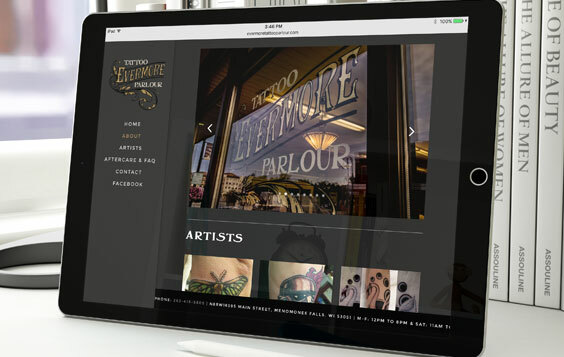 The team at Envy Creative designed a unique web experience that caters to their potential clients, no matter what device they use. Scoping out a website redesign? Don’t be afraid to reach out. In our years designing for the web, we’ve discovered that a lot of companies want to redesign their website, but don’t reach out for a quote or proposal because they are afraid that the cost is going to be too high. Envy Creative encourages you to reach out – you’ll discover that we’re an easy-going group that believes in a no-pressure approach when it comes to taking that important first step. We work on projects both large and small, believing that every web property deserves beautiful design and rock-solid development, no matter the budget. We’ve worked with numerous non-for-profit organizations over the years and understand the unique regulatory and marketplace challenges they face. 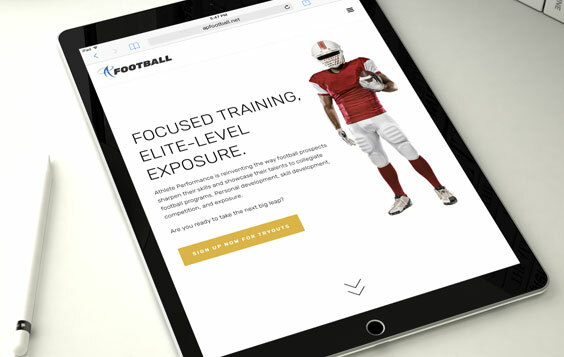 Our team has created brand and web experiences that help these organizations meet their goals. Legendary Men’s Basketball Coach Rick Majerus was a larger-than-life personality on and off the court. Rick’s success in competition were only matched by his compassion outside of the arena. 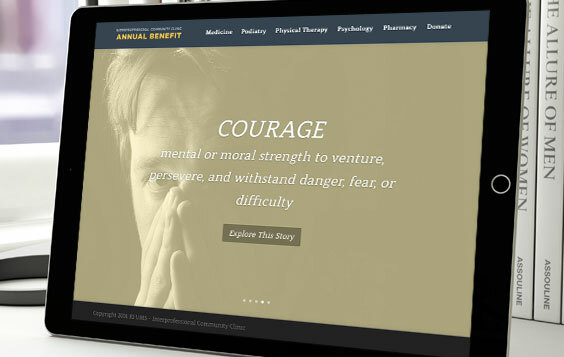 Envy Creative was honored when Jodi Majerus entrusted us to communicate Rick’s mission through a re-brand and website redesign for the Majerus Family Foundation. Our extensive background in non-profit work led to another successful relaunch. 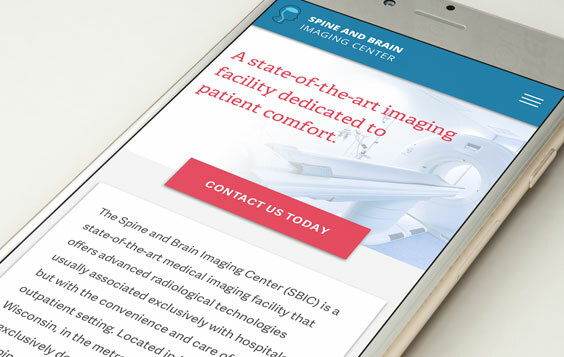 A great example of an open-ended web development project, the entire team at Envy Creative had to fire on all cylinders to accomplish the goals set by the group behind I’m Ready Warden. 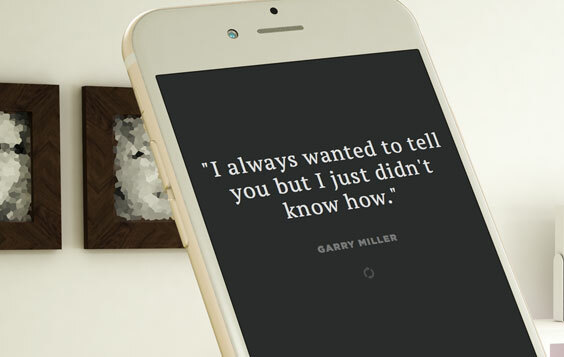 With an emphasis on strong typography, a minimal interface, and smart development, this project is one Envy’s strangest and strongest efforts. Our Non-Profit work is top-notch. See how we can help your organization. At Envy Creative, we understand the importance of being able to work within many different fields and verticals – we have a diverse portfolio, after all. But we find ourselves continually drawn to work in the Non-Profit space. 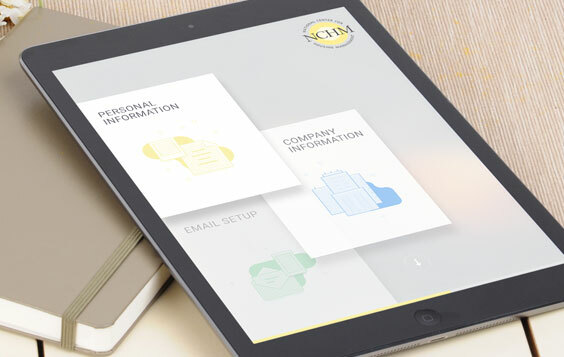 Our experience in this field allows us to seamlessly integrate ourselves into your organization’s workflow, while minding the processes and protocols, and deliver a stunning brand or web project – on time and on budget. 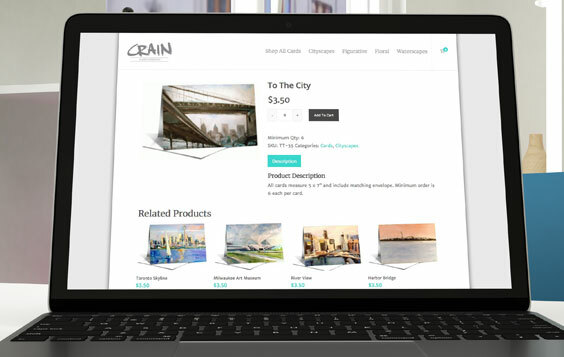 Our team has designed and developed awesome online stores for our clients’ physical and digital products. From inventory management to shipping integrations, our eCommerce platforms will help you succeed in the online marketplace. The team over at TOTAL Mechanical grew a lot in 2017, and their new additions, AGI Fabricators and Tri-Cor Mechanical, needed new looks for the web. Envy Creative stepped in to design a cohesive visual system for the new divisions of TOTAL Mechanical, and the results were stunning. 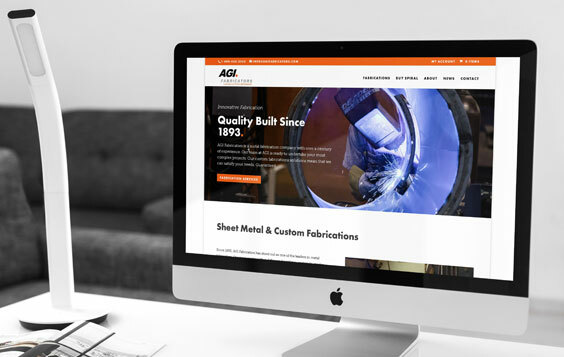 Leveraging beautiful new photography and strong typography, AGI Fabricators took a giant leap toward their bright future by breaking out of the simple brochure website mold and expanding into the eCommerce sector. The Wisconsin Cheese Mart is a Milwaukee institution – if you want cheese in the city, you get it from the Wisconsin Cheese Mart. So, when owner Ken McNulty asked us to redesign his web experience, we jumped at the opportunity. We’re huge fans of cheese and good design, so this was a great fit. Selling your products online? Let us set that up for you. 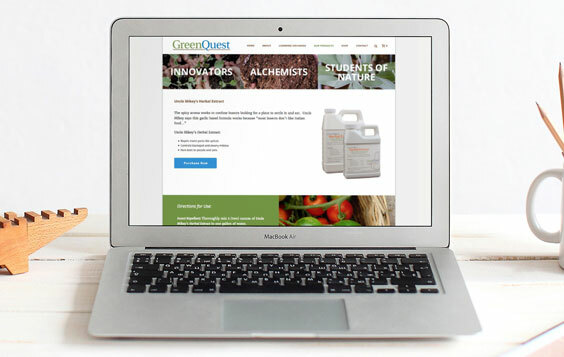 Since our inception, we’ve been helping our clients sell their products and services online. With all of our eCommerce sites, we do everything from platform installation to product creation to shipping and billing optimization. If you are interested in seeing if eCommerce is the right fit for your business, reach out to us and lets start a conversation. We’ve Done Our Homework On This…GEt It? It’s pretty obvious that the future of education is online. We’ve helped professional education organizations translate their materials from the classroom to the browser with enormous success. Many of these projects have lead to entirely new education and testing products and brand new revenue streams. inFocus Testing started out as just an idea they were kicking around in the NCHM offices one day. The braintrust at NCHM bounced this off of the team at Envy Creative, and we were immediately interested in taking on this monumental task. 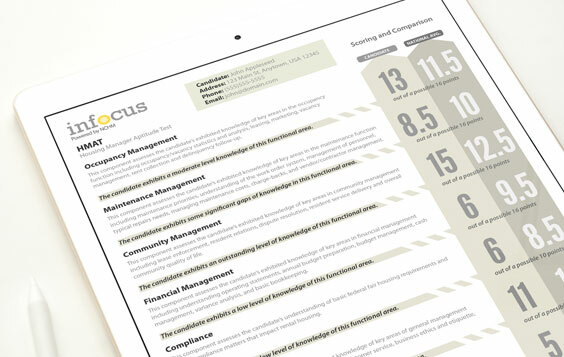 inFocus Testing is a custom web application and website for NCHM’s suite of assessment products for housing managers and maintenance technicians. 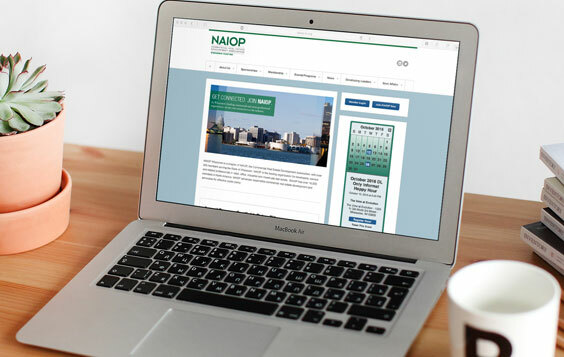 The captsone course in NCHM’s catalog, Registered Housing Manager, had just gone over an extensive overhaul and the team at NCHM felt it was time to deliver the course online. 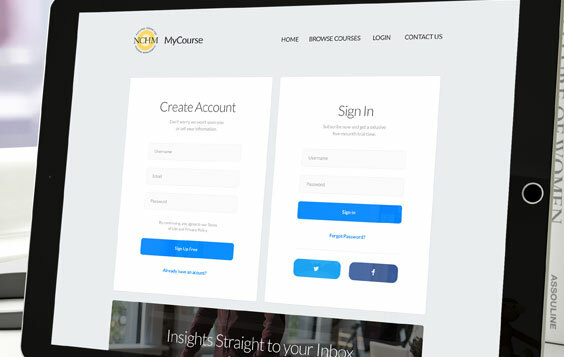 With an eCommerce component, student registration, instructor communication and grading, MyCourse is one of the most robust, feature-heavy eLearning platforms we’ve ever built. 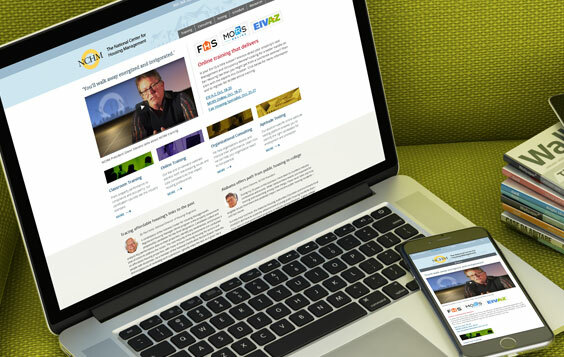 Interested in an eLearning solution? We are your team. More and more education is taking place on the Internet – for many organizations, conducting courses online saves money and allows for far greater engagement between the instructor and the student. We have spent the last six years in the eLearning space, from aptitude testing to continuing education courses to even classroom tablet instruction. Our clients have expanded their capabilities and their audience by moving their instruction online. 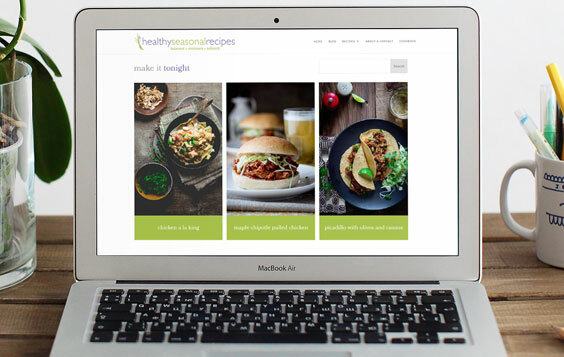 We’ve worked online publications from lifestyle and food blogs to large news organizations to help deliver engaging online publishing experiences. Built on the world’s most popular and trusted publishing platform, WordPress, these sites combine the best of editorial control and user experience. Phi Kelnhofer is a prominent food blogger and owner and operator of SweetPhi.com, a well-populated and competitive editorial vertical on the web. 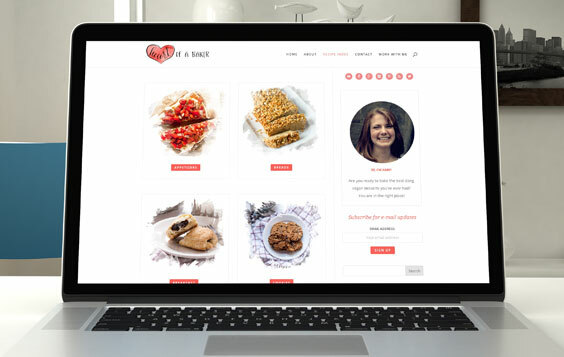 She needed a new brand and website that would standout among a sea of template-based blogs and expand her capabilities as a content creator. Envy Creative was able to deliver this experience and more. Are you a blogger looking to standout in the crowd? Give us a call. Having been a part of several blog redesigns, we understand the complex nature of modern blogging and the systems implemented. 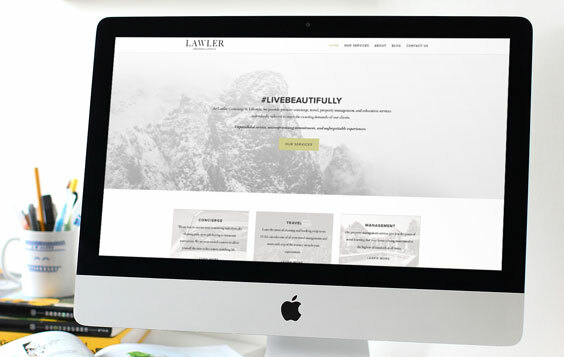 Not only do we deliver great design that will differentiate your blog from the rest of the pack, but we take great care in managing the transition of the technology that powers your site. Feel free to send us a message – we would love to hear from you. We often see professional artists resigned to building their own website because they feel obligated as a creative to handle their online appearance. This usually means using unwieldy, one-size-fits-all options that ultimately do everything but make them stand out. Envy Creative has worked with many different artists across a number of different disciplines to highlight their amazing work through clean design. 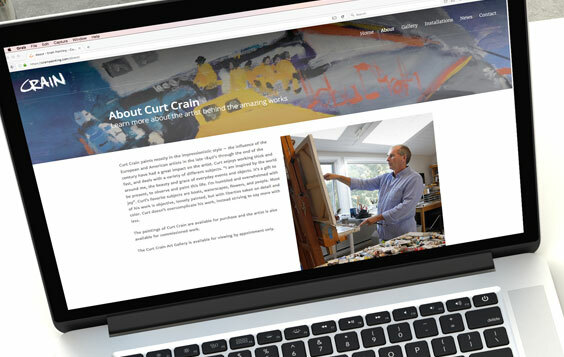 Artist Curt Crain approached Envy Creative in late 2013 with a seemingly monumental task: redesign three separate web properties, each with a different set of functionality, and do it within a eight-week timeframe. From a fine art portfolio site to an e-commerce property to a commerical painting website, this was surely a large undertaking. But we love a challenge. We provide rock-solid development to all of our clients. Building an excellent website isn’t just making sure it looks stunning – it also requires a smart, proven development philosophy. At Envy Creative, we pride ourselves on putting usability first and never doing “design for design’s sake”. From discovery to launch and beyond, we employ sound development strategies that we’ve honed and perfected through years of experience and education. From time to time, our work takes us away from brand design and web development. When a client of ours has a specific technology or brand need, we want to be the company with the answer. Our work outside of web and print has included custom quoting systems, apparel design, and even interactive displays for tradeshows. 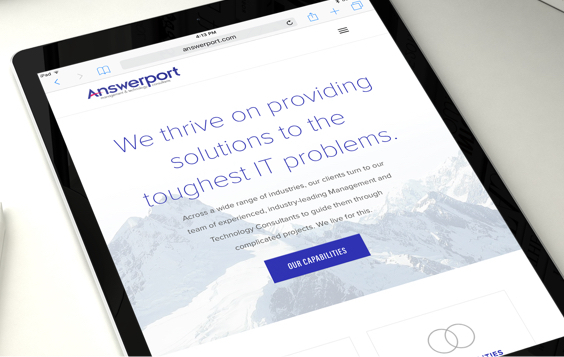 We want to solve your problems with easy-to-operate, elegant technology solutions. 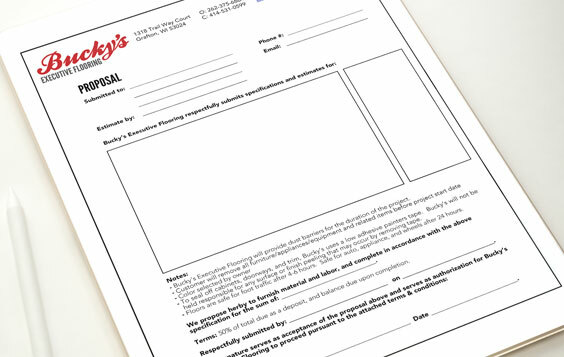 Ryan Knapp at Bucky’s Flooring had a problem: he needed a system to make quotes, deliver them to his potential customers, and could be tracked by the team back at their office. Having worked with Bucky’s for years, Envy was Ryan’s first call. The result was a wireless, paperless solution that not only streamlined his team’s quoting abilities, but also helped up conversion rates. Armed with a binder full of sketches and ideas, Joe and Kate Piraino approached Envy Creative to help them develop their brand, Northern Exposure Apparel. Starting with a full identity package and extending all the way to the clothing design, this project is representative of the wide-array of design capabilities present in the Envy Creative team. Have a digital or design project that’s a bit outside the box? We want to hear from you. and an opportunity to prove our capabilities. 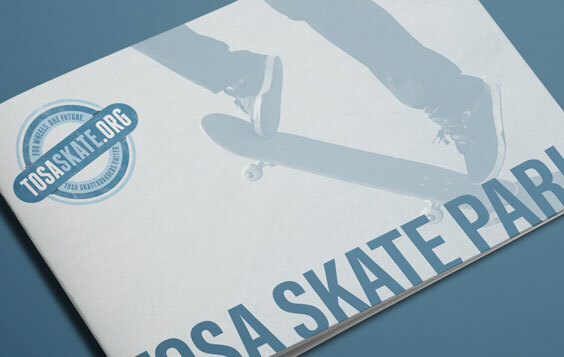 Do you have a digital or print project that you need completed? Shoot us a message and lets get started making your ideas come to life.